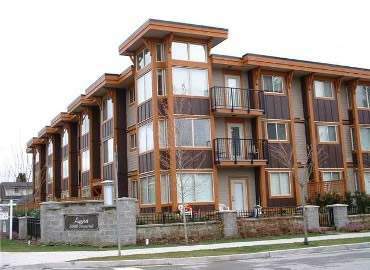 Luna is one of the first new developments in the established South Burnaby Neighbourhood. Quality and attention to detail are evident from the European builder. The 30 unit lowrise building has a great family and community feel, within walking distance to countless amenities such as shopping at Metrowtown, recreation at Bonsor recreation complex, and transportation options with 2 skytrain stations within walking distance as well as a major bus loop. Making life easy with endless shopping choices, services, recreation and transportation, the lifestyle choices at the new pre-construction Metrotown Luna condominium residences in Burnaby real estate offerings are truly endless. Here are some of the outstanding interior finishes standard in all Luna condo homes: a choice of two designer colour plalettes to suit your lifestyle and taste, brushed stainless steel Whirlpool appliances set and full sized stackable washer and dryer. In addition, all new Burnaby condo homebuyers at Luna Metrotown get a built in microwave and hood fan, multi cycle dishwasher and built in food disposal in the sink as well as a ceran top self clean range nad 18 cubic foot fridge. The kitchens at the pre-construction Burnaby Luna condos will feature European style wrap cabinetry with decorative wood grain and elegant granite counter tops with easy care tile backsplashes and large goos neck faucet with pull out spray. The bathrooms will have brushed satin nickel faucets. The luxurious yet affordable Luna Condos in the Burnaby real estate market will also feature quality laminate hardwood flooring in the living, dining and kitchen rooms and durable plush carpeting in the bedrooms. All presale Burnaby homes at the Luna real estate development will have electric fireplaces and access to secured gated underground parking. All residents at Luna Condominums also have access to an underground storage and bike room in addition to car wash facility. All pre-construction new Burnaby homes at Luna come with the comprehensive home warranty of 2-5-10 years by Lombard Insurance of Canada and are also built with the latest Rainscreen technology for low maintenance. The entire grounds at the pre-sales Burnaby Luna Condos will be professionally landscaped too. There are a total of 30 condominium suites at Luna Burnaby property and the floor plan layouts feature one bedroom plus den, two bed and two bedroom plus den condominiums. The first floor units at Luna Burnaby will have nine foot ceilngs and large patios. Any presold condo units at Luna Metrotown will have the choice between two colour palettes.